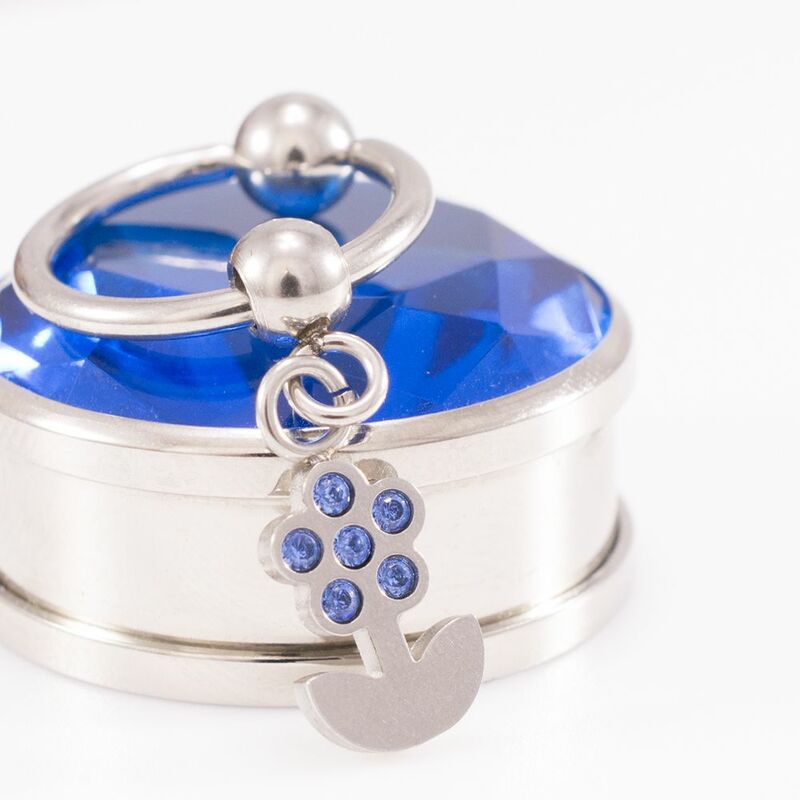 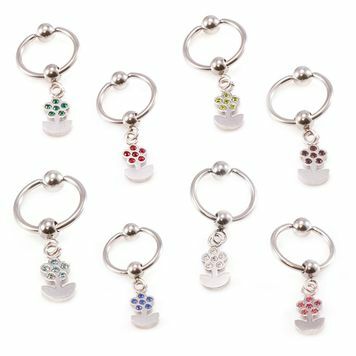 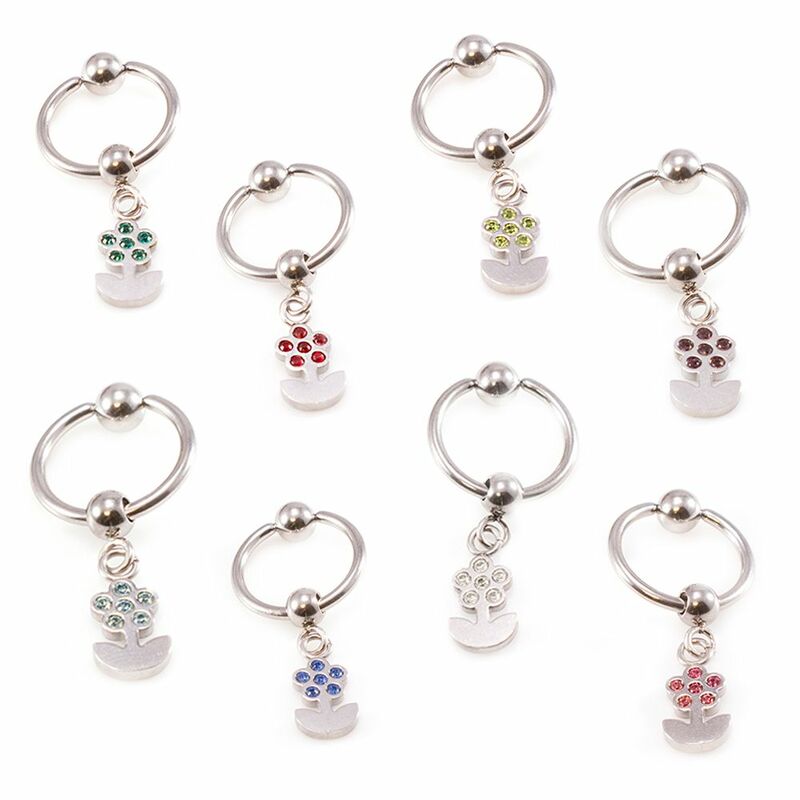 This little whimsical flower captive bead Belly Button ring - Ball closure ring is made with a solid 316L high grade surgical steel Ball closure with a .925 sterling silver dangling jeweled flower charm in your choice of clear, light blue, dark blue, green, purple, red, or pink. 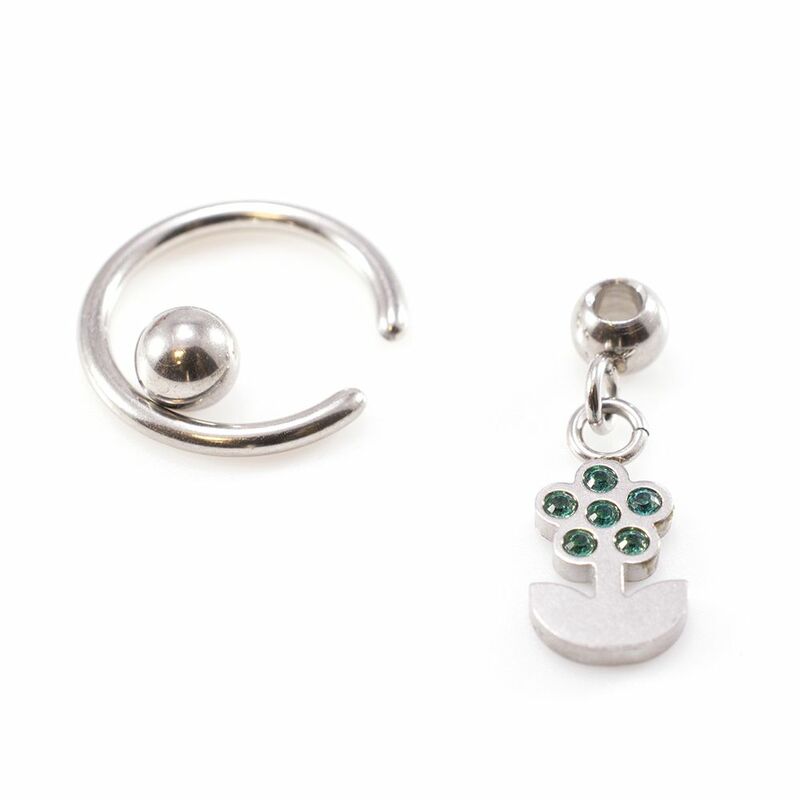 This belly ring is 14 gauge and the length is 12mm-1/2 of an inch. Entire piece is nickel free.